First Degree Evolution E-520 Pro is something else. As soon as you see it, you just have to take it for a ride - it looks that good. The first thing that catches your attention is the vertical water tank and its position - sitting to the side of the rail. 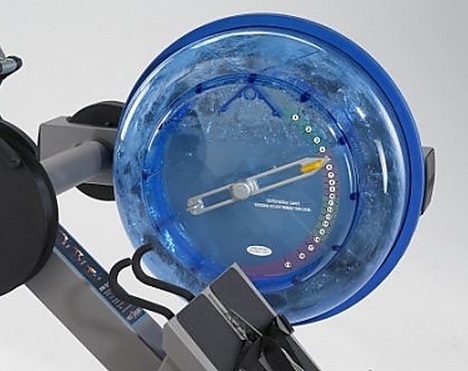 Other popular water resistant machines on the market such as the Waterrower and Prorower have horizontal tanks situated at the front. Why does this matter? Unlike many water models where you have to stop and change the water level to alter the resistance, the Evolution's vertical tank has a lever! We found it makes a big difference when it comes to changing the resistance level - you can do it mid-stroke when it's placed conveniently by you side. And you have 20 different levels to select, which we believe to be one of the widest ranges available on any machine on the market. This is just one of the features that make this model a joy to use. Some wrongly belief water machines need a lot of maintenance, whereas they actually need less than many other types. The water only needs to be replaced every six months or so, even longer if you remember to add a water purification tablet every 12 weeks or so. The E520 needs even less maintenance as it has a tough belt in place of a chain attached to the handle. The nylon belt also contributes to keeping the noise of the machine down - you can barely hear it over the sound of the water. The action of the E-520 really has to be experienced to appreciate. It's incredibly smooth and quiet with absolutely no dead-spots (a part of the stroke where you feel a loss of momentum you can on some machines). The design of the rail hides the rollers which keeps the sound and maintenance to a minimum. The steel and aluminium frame is one of the sturdiest we've tried and remains rock solid even when rowing at full speed. You also get the impression that it will last forever - First Degree will have no worries about guaranteeing the frame for 10 years. The seat is very, very comfortable and its position is almost the height of an office chair, making it easy to get on and off - very useful if you've just completed a tough session at a high resistance level. There is an option to get a chair back for the seat - although we're not sure if it really adds any comfort and may get in the way on a particularly vigorous row. Another thoughtful touch is the height adjustable foot plates - you really have no excuse to not use this machine as it's perfectly possible to find a ergonomically comfortable position. Your expectations are going to be high when you're spending this much on a piece of home fitness equipment. And our only disappointment is that it isn't PC compatible. 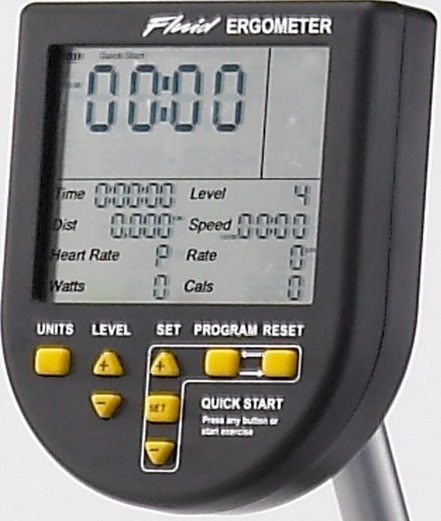 Rowers such as the Concept2 and LifeCore - see below - have the function to upload your workout data to a PC. This lets you keep track of your progress using the manufacturers software and produce graphs etc to help keep you motivated. 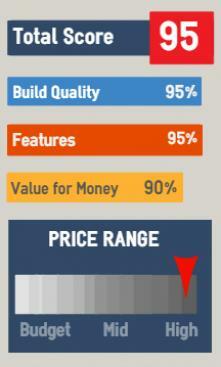 However, this really shouldn't be a deal-breaker as many who have such features never use them anyway. You can always record your performance manually to overcome this, and it does 'remember' your previous six workouts. The good points are it has a great pacer program so you can race against yourself. It also has interval and heart rate training programs - a great way to get fit. But note, while the monitor is compatible with all major heart rate monitors, you have to supply your own as one isn't included. They really don't come much better than this. Yes it is well over $2,000 but if you're serious about your health and fitness and can afford it, you'll get a truly great machine that will keep you motivated for years. As soon as you sit on it and take up the handles, you know you on a quality rower. Everything about it says well-designed, quality build and 'I mean business!'. There are few minor let downs, such as it not being PC compatible - but this shouldn't put any buyer off it. 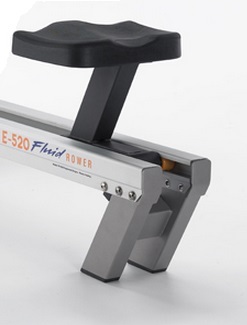 The E520 Fluid rower sets the bar high for other manufacturers to aspire to. In short, you really can't go wrong. Monitor is not PC-compatible - most other machines in this price range are. Buttons on console are a little small - but to be honest we're struggling to put anything in this section. 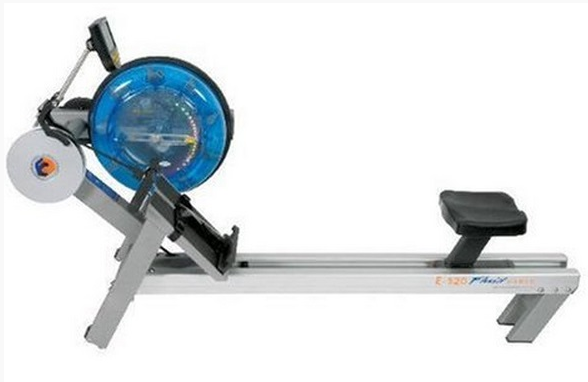 If you can't justify spending this much on a rower, take a look at the Concept2 Model E or LifeCore R100. If it has to be a water resistant machine, then the obvious choices are the Waterrower Natural, A1 Home, or the home model of the same, the Neptune Fluid rower. Or if it's just a matter of a few hundred dollars, First Degree's Vortex-3 is just over $2,000 and is a phenomenal machine.